In the water Double-Crested Cormorants remind me of submarines. Most of their body remains below the surface with their necks and heads poking up like a periscope. When approached they tend to dive, swim away and pop up somewhere else. Double-Crested Cormorants have less oil in their feathers than most other water birds and they hunt almost exclusively by chasing fish under water. Because of that their feathers get much more soaked than those of a duck or goose. After they finish feeding Double-Crested Cormorants congregate in sunny spots and spread their wings to dry them. When it’s time to go they will either swim away or fly. Watching them take off can be amusing. They practically run across the surface of the water until they get enough speed up to take flight. The Double-Crested Cormorant pictured above will have two fluffy crests of feathers on its head next year when it’s ready to breed, hence the name. The rest of the year it will remain free of any head crests. Some of the information for this post was obtained from The Cornell Lab of Ornithology’s AllAboutBirds.org website, which is a great resource for identifying and learning about birds. 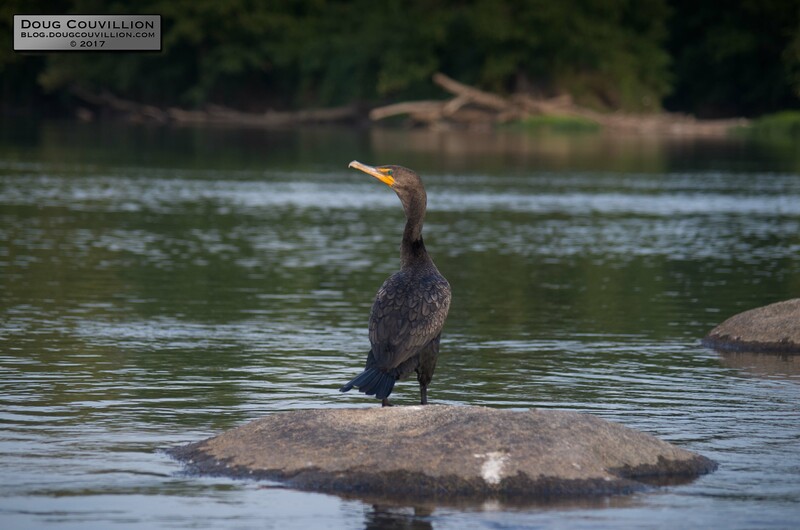 Here’s a direct link to their page on Double-Crested Cormorants: https://www.allaboutbirds.org/guide/Double-crested_Cormorant/id. My only word of caution is someone has a website at allaboutbirds.com that will try to get you to install software you probably don’t need or want. If you’re looking for bird information make sure you visit the .ORG site.